Linux is the most popular operating system being used on web servers. For system admin, Linux is the tool you have to be familiar with. To get started, you should install Linux on a machine first. That requires a bootable Linux USB. 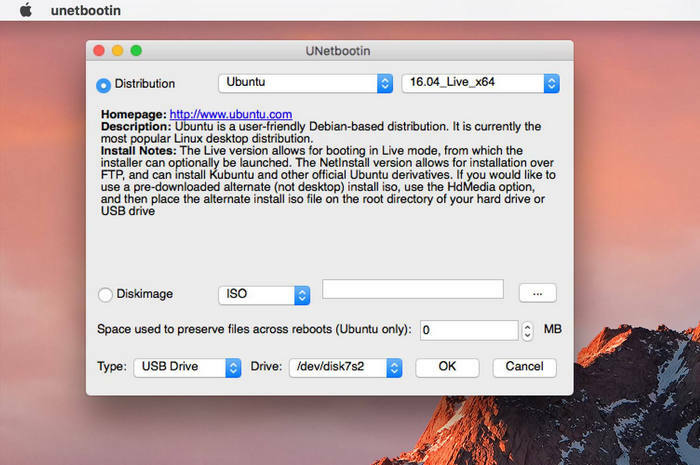 The bootable Linux USB is a convenient way to install Linux OS, but you need to have the right tools to create bootable USB. Just like any LiveCD, a Live Linux USB will not only let you go an installation, but also to test various hardware components like wireless drivers and so on. This article shows you how to create a bootable Linux USB on three OS platforms: Windows, Linux and macOS. For the purpose of this article, we'll use an Ubuntu 18.04.1 LTS (Bionic Beaver) release. For the Windows environment, LinuxLive USB Creator, also called Lili, is a pretty good utility. It is open-source, so if you're not too keen on that you can, of course, try a proprietary software for burning ISO to a USB flash drive to create bootable media. However, LinuxLive USB Creator has an advantage in that it can even download the ISO file for you if you don't already have it for a particular distro. 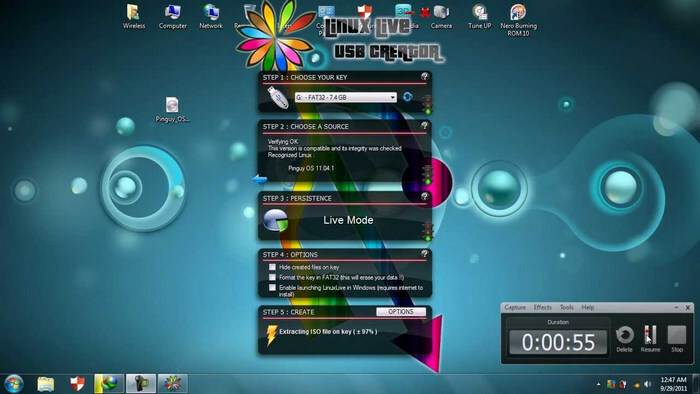 Step 1: Download LinuxLive USB Creator from here and install the program on a Windows PC. Step 2 : Get the ISO file for Ubuntu 18.04.1 LiveCD from Ubuntu official website. Step 3 : Launch LiLi and insert a USB drive into an available port. Step 4 : In the software, select the USB and pick up the ISO file that you downloaded earlier. Once you select it, it will be imported into the program. Step 5 : You can choose various options, such as formatting your USB (all data will be erased), make the extracted ISO files on the USB drive hidden and enable LinuxLive to launch in Windows, which requires an internet connection. Step 6 : Finally, click on the lightning icon to begin the process of creating bootable Linux USB. The USB can now be used to install this Ubuntu release on any machine, since it is a bootable media. The reason we've chosen Lili for this example is that it is perfect for experts and novices alike. New users can simply follow the steps and either install a live version or a persistent one. The traffic light indicators on each step will tell you whether or not you did it right. Simple and quick. 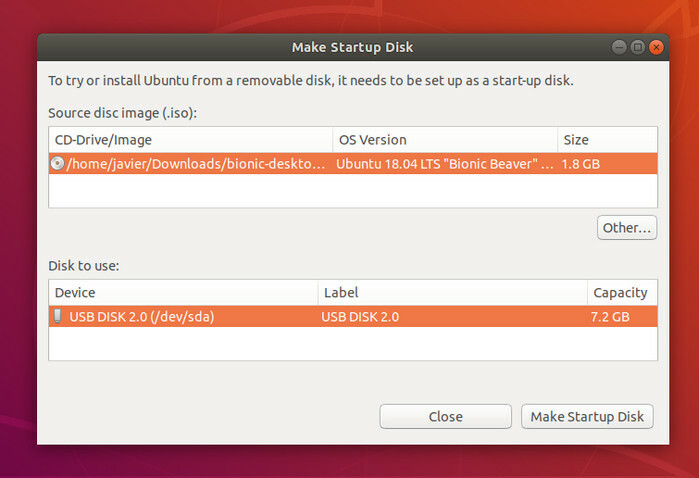 On an Ubuntu machine, you can easily create a bootable Linux USB with a built-in app called Make Startup Disk. It's fairly simple to use if you're familiar with Linux, and it also allows you to set persistence for when you reboot. Here are the steps to complete this task. The same Ubuntu release is used for this example as well. Step 2 : Select the ISO image that you downloaded before, and make sure the correct USB drive is displayed in the middle section under "Disk to use:". Step 3 : Set reserve space if you want persistence. 300MB is usually enough, but you can set it higher. If not, select the "Discard on shutdown" option instead. Step 4 : Double-check your settings and click "Make Startup Disk" on the bottom right. Your bootable Linux USB is now ready for use. This is the easiest way to do it on a Linux machine running Ubuntu. It may have variations based on the version, but the principle is the same. You don't need any external tools to create the bootable media. Step 1: Download UNetbootin from here. Make sure you get the Mac version (DMG file) and install it the way you normally install apps on your Mac, by dragging the icon into the Applications folder after double-clicking the setup file. Step 2: Select the Linux distro and the version if you don't have it, or else check the radio button against "Diskimage" and select the ISO file you downloaded earlier. Step 3: Insert your USB flash drive. Set "Type:" to USB Drive and choose your USB from the dropdown menu. You can also set the reserve space for the Ubuntu files. Step 4: Click OK to begin burning ISO to USB stick on Mac. You need to be a little careful when selecting the drive, because you don't want to accidentally format any of your hard drive partitions. Other than that, there's the issue of not being able to install Ubuntu on your Mac using this method. However, it can be used on other Linux or Windows PCs. All of these methods involve some level of risk if you are an inexperienced user. Proceed with caution, or look for reliable third-party software that will do the job for you. You can also explore command line executions to burn ISO to a USB drive to create a bootable Linux USB.